Yes to both. They have demolished certain team this year. Their last game another 5-0 win. Aris are a good club. Always attack. Good fans. Interesting if not bizarre stadium.. They are a welcome addition. Seeing as Panathinaikos will hopefully get relegated soon, they are set to take that spot left vacant. Mateo's clause in FM is 1,5M€ if that helps! Aris are so cash strapped they are wondering if they can even afford the buy-out! I think they will sell some players to keep others. Leo Jaba and Limnios are good players? I only remember Pelkas, and he was good. Pelkas is now used more sporadically. He is not consistant enough. Some games he dominates - running through the middle of opposing teams and finding space deep in their halves. Other games - he is quiet. Leo Jaba is probably too good for PAOK. Solid player. Makes danger. Fast. Strong. Can score. Can waltz past opposition players easily. A fighter. All this and he is only 20. Limnios was a starter for much of the season. Not a bad young player. Fairly fast winger who can score but for me not good enough for a club like Olympiacos. I guess PAO are going through their worst period in history atm? Yes. Worst period in their history. Easily. Judges however and media are artificially keeping them in the league the last few years as Aris and Iraklis have pointed out. They should have got minus 6 points for the abandoned game vs us last weekend, but the bribed judge saved them today. No punishment for the fans inside the stadium!!! Only a -3 for petrol bombings against police outside the stadium!! Invading olympiacos bench with knives - no punishment. Pitch invasion to stop game - no punishment. Clashes with police inside stadium - no punishment. Judge said ref was wrong to stop game! Game to be continued from 70th minute!!! Sportign in Portugal have also been going through a lot of trouble in the past 20 years or so. I mean, in the last 40 years they only won the league 4 times. Two of them in 1980 and 1982 already. Then they only won it again in 2000 and shortly afterwards in 2002. Since then, nothing. If they don't win the league this season, they'll tie their historic record of not winning the league for 17 consecutive seasons. I honestly think that, at this point, they're gonna stay at least 20 consecutive seasons without winning the league. perhaps they'll even get close to 30. Hard to say which period of theirs was worst. From 1982 to 2000 they actually had some seasons where they had some pretty good teams, especially since a big part of that drought was encompassed by the pre-Bosman ruling days still. From 2002 to today not so much. Their teams from 2002/2003 to 2008/2009 were ok but nothing too special. Always lacking something. Their From 2009/2010 to 2012/2013 Sporting became a bigger joke and finished in embarrassing positions like 4th and 7th(their worst ever). Their best team this decade was their 15/16 team with Jesus as their manager, but yet they couldn't take the championship from us. Sporting are very irregular overall and even when they have good teams they always have visible weak spots. They also usually have less money than Benfica and Porto, since they've been ran by very incompetent presidents in the past 40 years or so. They also haven't won two championships in a row since... 1953/1954. It is a very good description. We have often compared Sporting to Panathinaikos on here - and it seems the connections go beyond very similar fans and very similar colours. I would venture Panathinaikos were once an actual power in Greece and dominated but that is in the past now. A succession of terrible owners sunk the team and their pot-head fans did the rest. They should have been relegated around 2-3 times, but Olympiacos saved them to keep the league competitive. Clubs like Iraklis with a fraction of PAO's debt were relegated however and this shows how Greece works. I actually watched sporting a few times over the years in Europe, they used to have a player I admired called Barbosa. Our media said Vlachodimos and Samaris helped Greece win. Did you watch the game? Saw about 40 mins of it. The two Benfica boys played well. Was relieved Vlacho is now the starting keeper for Greece. He is the best keeper we have. Sadly we have players in the 11 - so genuinely bad - they would not be able to get contracts for clubs in the Portuguese second division, Bakasetas being the stand out unbelievably weak player in the game. Is this the new Aris logo? That is the original ARIS logo from 1914 until the 1970s. I doubt they would ever drop the 'God of War' logo they currently have. Too many of their fans have it as a tattoo for one thing.. They changed their Facebook page to this. It's also their birthday I think. Yes. On birthdays Greek clubs often use their original logos. 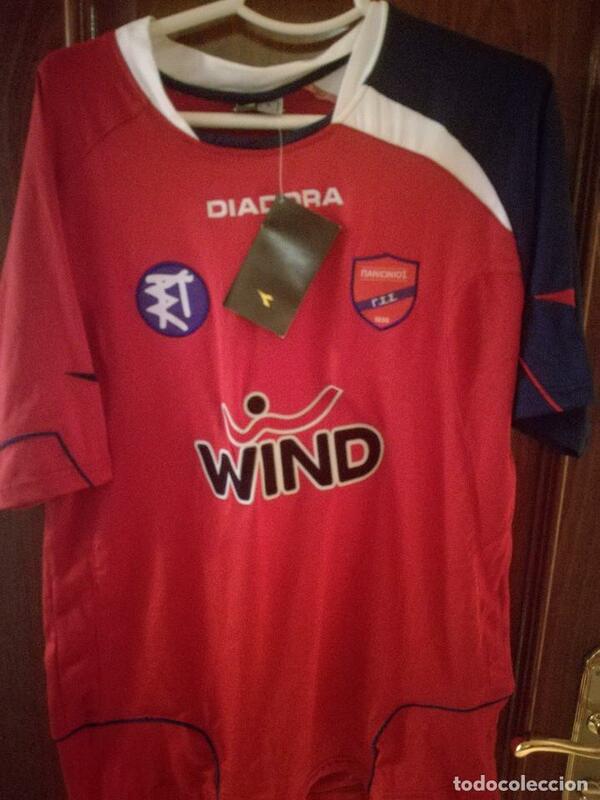 A while back Panionios (founded in 1890) even put their beautiful original blue and white logo back on their shirts. Página criada em 0.153 segundos com 32 procedimentos.